The first decade of the 21st century saw UPS evolve into the world’s largest package delivery company and a global leader in supply chain and freight services. In 2001, we acquired Fritz Companies, a global freight forwarder and customs brokerage company. That year, we also won rights to fly to and from China six days a week and acquired Mail Boxes Etc.®, then the world’s largest franchisor of retail shipping, postal, and business service centers, which was rebranded as The UPS Store® two years later. 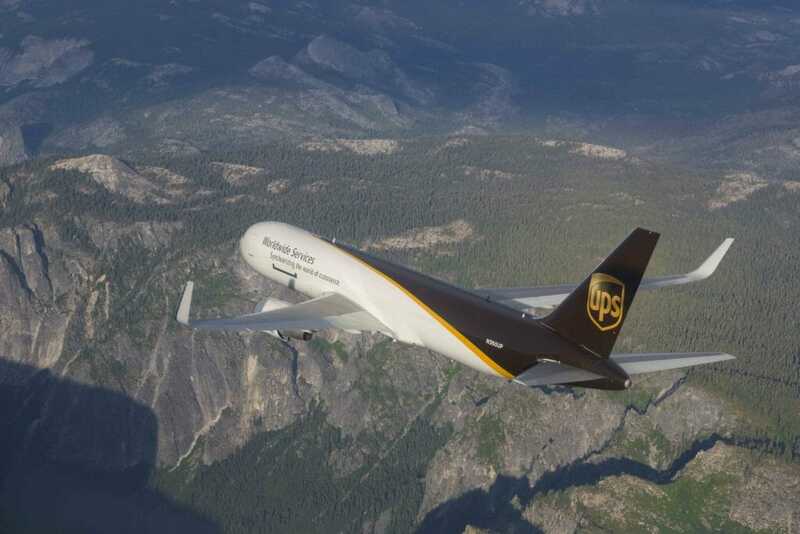 In 2002, UPS launched UPS Supply Chain Solutions®, which now provides forwarding and logistics services in more than 175 countries and territories, including supply chain design and management; domestic and international air freight; ocean, rail, and ground freight; transportation network management; customs brokerage; and mail services. In 2003, we introduced a new brandmark, representing an evolved UPS, and signaling to the world that our capabilities extend beyond small package delivery. We also adopted the acronym “UPS” as our formal name. Also in 2003, we issued our first Corporate Sustainability Report, highlighting the importance of balancing economic, social, and environmental objectives. In 2004, we expanded our freight forwarding and international trade services capabilities with the acquisition of Menlo Worldwide Forwarding. UPS purchased Overnite Corporation® in 2005, beginning a new chapter in the history of both companies and changing the face of the freight industry. 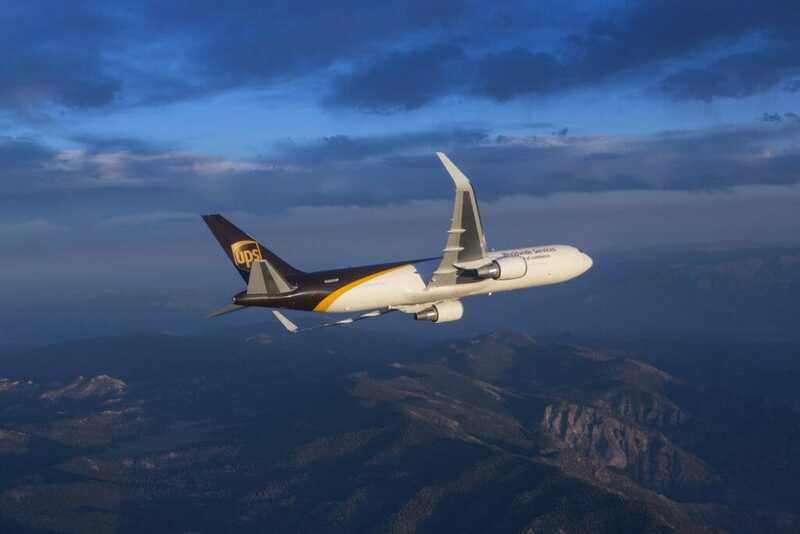 The following year, UPS rebranded Overnite to UPS Freight®, which provides long-haul truckload and less-than-truckload freight services in the United States, Canada, Guam, Mexico, Puerto Rico, and the U.S. Virgin Islands. During our centennial year of 2007, we launched several new services, including UPS Delivery Intercept®—enabling shippers to recall or redirect a package in transit—and UPS Express Critical® to meet customers’ same-day and urgent shipping needs. We also introduced UPS Paperless® Invoice and international UPS Returns®, becoming the first package carrier to offer a paperless international shipping option as well as a package return capability to 98 countries and territories. By 2010, UPS continued to expand its service by opening new facilities in Canada, China, Europe, and Puerto Rico—as technology revolutionized our operations and ability to better serve our customers through the use of smart labels, precise dispatch planning, specific sorting information, and detailed delivery data. Our Business Today The UPS of today provides services far beyond package distribution. 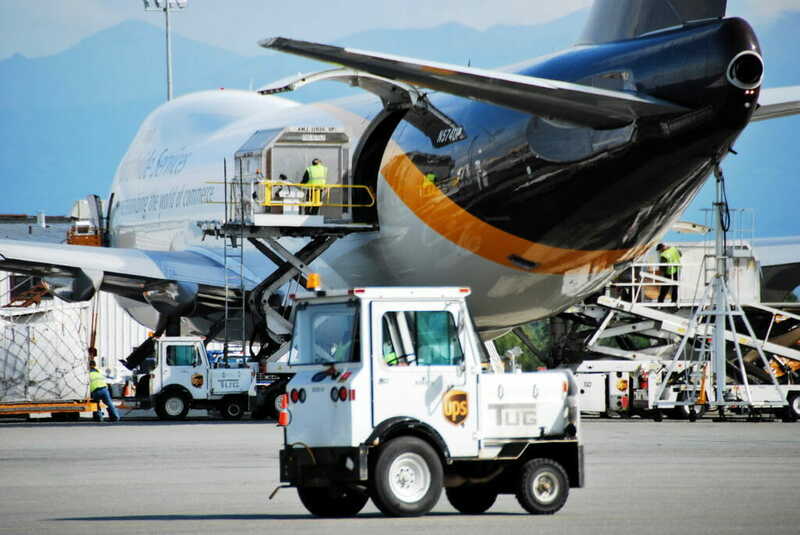 Our ground, air, and international network includes facilities such as UPS Worldport®. Located in Louisville, KY, Worldport is the largest fully automated package handling facility in the world. Our integrated network also includes the Chicago Area Consolidation Hub (CACH) in Hodgkins, IL, and state-of-the-art air hubs in Shenzhen, China, and Cologne, Germany. Although our core focus remains the distribution of goods—and the information that accompanies these goods—we do much more. We provide comprehensive logistics solutions to our customers so they can better serve their customers by concentrating on what they do best. From supply chain management that includes warehousing, distribution, and consultative services, to freight forwarding and brokerage services that facilitate global trade, to financial services and the flow of funds, UPS and its diversified businesses are partnering with customers to meet their individual needs. U.S military personnel are known for their leadership skills. UPS has put these abilities to great use over the years. George Casey, one of the company’s founders, was a U.S. Navy veteran of World War I. Since then, three UPS CEOs also have served in the military. Nearly 24,000 veterans are employed by UPS. Approximately 900 employees are on military leave on any given day. The decision to add more veterans to the UPS workforce has many UPSers cheering, especially Aircraft Maintenance Manager Troy McCullum, who knows what it’s like to serve his country and transition back to civilian life. “I’m grateful that UPS has taken the stance to hire 50,000 returning vets,” McCullum said. At age 19, McCullum joined the U.S. Air Force. “I worked in aircraft maintenance on F-15 fighter jets, which was pretty cool,” he said. McCullum moved back home to Kentucky after spending four years in the Air Force. He said he brought back some very valuable skills he learned from the military. “The military focuses on high integrity, hard work, dedication and service before self. In developing those traits, you don’t really see the changes until you are catapulted into a role where you are required to use them. It wasn’t until I came to UPS and went into management that I started to see how much the company and the military mirror each other,” McCullum said. For more than two decades McCullum has worked at UPS and he believes his military experience made the transition to UPS an easy one. McCullum said he is happy other veterans will have the chance to experience an easy transition back to the civilian world because of the commitment UPS made to hire 50,000 veterans by 2018. The total doubles UPS’s hiring pledge made in 2013. UPS currently employs nearly 24,000 veterans and that number is continuing to grow. It’s a commitment UPS has been making for years to show the troops support. Main responsibilities in the military: Completing scheduled and unscheduled aircraft maintenance tasks on the F-15 Fighter Jet, Safely, timely, and within compliance. 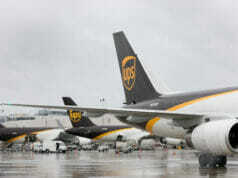 Responsibilities in your organization: Responsible for maintaining UPS aircraft in a safe and reliable status. 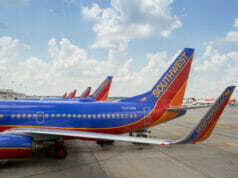 Manages scheduled and unscheduled work on the various types of aircraft and the repairs of discrepancies found on aircraft within the Louisville Airport (SDF) operation to ensure work is completed in a timely manner. This position collaborates with cross-functional groups regarding work plans, tools, parts, and operational changes to complete maintenance work and ensure on time departures. 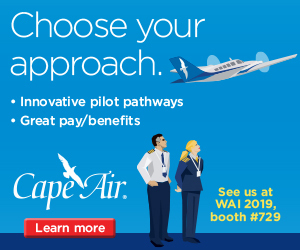 Participates in projects for improving operational efficiency, and ensures supervisors and technicians complete required training for skills enhancement and compliance with Federal Aviation Administration (FAA) and UPS requirements. June 1999 – Promotion to Full-Time supervisor in the Air District, Worldport Operation. April 2003 – Promotion to Aircraft Maintenance Supervisor. January – April 2007: Selected as a team member representing UPS Aircraft Maintenance attending the 747-400 FAM training from Boeing at their factory and school in Seattle, Washington. January 2009 – Promotion to Aircraft Maintenance Manager. January – June 2013: Selected as the Operations Manager for the multimillion dollar modernization of the Aircraft Maintenance Wheel and Brake Shop located in Louisville, Ky.
January 2013 – Selected to be a committee member and treasurer of the Veterans BRG helping host, volunteer and lead in the following events in 2014 and 2015, all taking place in Louisville, Ky.
BRG Kickoff Event – Hosted Colonel Rick Schwartz, commander of the operation that took Baghdad in April 2003 and Mayor Greg Fischer who spoke about veterans, leadership and UPS, to UPSers in the Global Operation Center. “Mayor Give A Day” – Conducted beautification projects at the VA Hospital and Volunteers of America facilities where areas were created to help Veterans relax and heal. This was accomplished by UPS volunteers, Ford and Operation Helping Heroes – Service for Peace. “Thunder Over Louisville” – Hosted UPS corporate tent event where military members, veterans, a group of Army Rangers returning from Afghanistan, group of Wounded Warriors from the Wounded Warrior Transition Battalion at Fort Knox, Kentucky and guests were honored by UPS and the Kentucky Air National Guard. Veterans Memorial Park of Kentucky – Held a golf scramble at Lake Forest golf course where Don J. Jenkins, a former United States Army soldier and a recipient of the United States military’s highest decoration—the Medal of Honor—for his actions in the Vietnam War was honored. 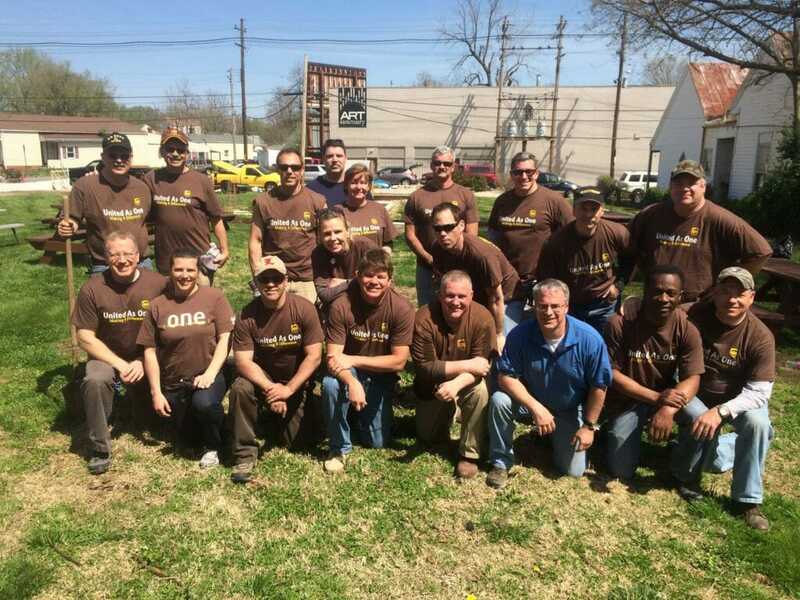 “Operation Delivering Dreams” – A cooperative community service project, sponsored by UPS and over 30 local businesses, where volunteers from all over Louisville and UPS built a children’s playground at a local neighborhood community center, Neighborhood House. Hosted Sergeant Major of the Army, Raymond F. Chandler III and his staff – Visit to UPS and a round table discussion on UPS initiatives for honoring and hiring veterans. Joint Venture BRG Leadership Discussion – the UPS African American and Veterans BRG co-hosted United States Air Force General Darren W. McDew, who currently serves as the Commander of Air Mobility Command, and spoke to a packed house at the Ali Center. February 2014 – Selected to be the Co-Chairman for the Air Region United Way and Chairman of the 2015 campaign. Why did you decide join the military? 1. Infatuation with aircraft and the experience gained from working on them. 2. My grandfather retired from Air Force and NASA. My father served in the Army during Vietnam which makes me a 3rd generation veteran. 3. GI Bill – Earn a College Degree, earn money and save money. 4. Serve my country, make a difference, make history and gain respect. What were your areas of responsibility in the military? Performed schedule and unscheduled aircraft maintenance on the F-15 Fighter Jet Aircraft. Where were you stationed over the years? Tyndall Air Force Base in Panama City, Florida. Any unique experiences while you were in the service? Participated in Red Flag at Nellis AFB conducted on the Nevada Test and Training Range involving U.S. and allied forces from all branches of the military. Each Red Flag exercise normally involves a variety of interdiction, attack, air superiority, defense suppression, airlift, air refueling and reconnaissance aircraft, as part of the ground crew. Participated in William Tell which is a biennial aerial gunnery competition with fighter aircraft held by the United States Air Force in every even-numbered year at Tyndall Air Force Base in Panama City, Florida. In the competition, teams representing the various major commands of the USAF compete in live-fire exercises, using towed banner targets for gun engagements, and obsolete fighters converted into unmanned target drones for air-to-air missile engagements, as part of the ground crew. Participated in a TDY in Singapore training and competing with the Republic of Singapore Air Force at the Paya Lebar Air Base, as part of the ground crew. Participated in a TDY in Albert, Canada training and competing with Royal Canadian Air Force at Canadian Forces Base located within the City of Cold Lake, Canada, as part of the ground crew. Member of the Tyndall Air Force Base Honor Guard and helped provide ceremonial funeral honors for all active duty members, veterans and retirees of the Air Force and Army Air Corps. The Honor Guard area of responsibility for funeral requests includes Alabama, Georgia, and Florida counties, all of which comprise a tri-state area of 11,000 square miles. In addition, the Honor Guard supports a wide variety of base and community functions including, but not limited to, change of commands, retirement ceremonies, and community parades. Favorite part of being in the military/or a story about it? Integrity – Is a character trait. It is the willingness to do what is right even when no one is looking. It is the moral compass, the inner voice, the voice of self-control and the basis for the trust imperative in today’s military. Integrity is the ability to hold together and properly regulate all of the elements of a personality.. Courage – A person of integrity possesses moral courage and does what is right even if the personal cost is high. Responsibility – No person of integrity is irresponsible; a person of true integrity acknowledges his/her duties and acts accordingly. Accountability – No person of integrity tries to shift the blame to others or take credit for the work of others. “The buck stops here” says it best. Openness – Professionals of integrity encourage a free flow of information within the organization. They seek feedback from all directions to ensure they are fulfilling key responsibilities, and they are never afraid to allow anyone at any time to examine how they do business. Self-respect – To have integrity is also to respect oneself as a professional and a human being. A person of integrity does not behave in ways that would bring discredit upon himself/herself or the organization to which he/she belongs. Humility – A person of integrity grasps and is sobered by the awesome task of defending the Constitution of the United States of America. Service Before Self – Tells us that professional duties take precedence over personal desires. To serve is to do one’s duty, and our duties are most commonly expressed through rules. While it may be the case that professionals are expected to exercise judgment in the performance of their duties, good professionals understand that rules have a reason for being – and the default position must be to follow those rules unless there is a clear, operational reason for refusing to do so. Respect for Others – Service before self tells us also that a good leader places the troops ahead of his/her personal comfort. We must always act in the certain knowledge that all persons possess a fundamental worth as human beings. Discipline and Self-control – Professionals cannot indulge themselves in self-pity, discouragement, anger, frustration or defeatism. They have a fundamental moral obligation to the persons they lead to strike a tone of confidence and forward-looking optimism. Excellence In All We Do – Directs us to develop a sustained passion for continuous improvement and innovation that will propel the Air Force into a long-term, upward spiral of accomplishment and performance. Service Excellence – We must focus on providing services and generating products that fully respond to customer wants and anticipate customer needs, and we must do so within the boundaries established by the tax-paying public. Community Excellence – Is achieved when the members of an organization can work together to successfully reach a common goal in an atmosphere that is free from fear and that preserves individual self-worth. Material Resources Excellence – Military professionals have an obligation to ensure that all of the equipment and property they ask for is mission essential. This means that residual funds at the end of the year should not be used to purchase “nice to have” add-ons. Human Resources Excellence – Recruiting, training, promoting and retaining those who can do the best job for us. Operations Excellence – There are two kinds of operations excellence: internal and external. Internal operations excellence pertains to the way we do business internal to the Air Force from the unit level to Air Force Headquarters. It involves respect on the unit level and a total commitment to maximizing the Air Force team effort. External operations excellence pertains to the way in which we treat the world around us as we conduct our operations. In peacetime, for example, we must be sensitive to the rules governing environmental pollution, and in wartime we are required to obey the laws of war. Did anyone mentor you? Did they give you any great advice/how did they help you? There was not one person, but rather the overall Military experience provided mentoring by helping show me how to develop relationships, serve as an example for others and being a leader. The Air Force nature my career path and provided guidance and support. Why do you think veterans make good employees, and why should companies hire them? Veterans make good employees because they are accustomed to policies and procedures and they adjust to dynamic work situations. They lead by example, promote teamwork, and are more loyal, and committed to the organizations than civilians. And they never forget what they have learned and where they came from. For you, what were the most valuable skills and/or lessons you learned during your service? “Service Before Self” – which is an attitude, ability and skill used to serve and peaks when we step up, and put the needs of the team ahead of our personal needs! What was your biggest challenge in looking for a civilian job? How did you overcome it? Did anyone help you through it? I was very lucky when I choose to leave the Military because I had an aspiration of working for UPS Airlines and when I was interviewed, I was offered and accepted a job immediately. I am now going on 18 years with UPS and there is not place I would rather work. “Under a World War II concept called operations research, military planners took mathematics and many other scientific disciplines and applied them in a team effort to the solution of complex problems. Tell us how you got your current job. What is your job title and what are your responsibilities? 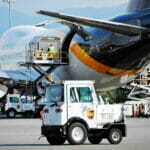 Responsible for maintaining UPS aircraft in a safe and reliable status. Manages scheduled and unscheduled work on the various types of aircraft and the repairs of discrepancies found on aircraft within the Louisville Airport (SDF) operation to ensure work is completed in a timely manner. This position collaborates with cross-functional groups regarding work plans, tools, parts, and operational changes to complete maintenance work and ensure on time departures. 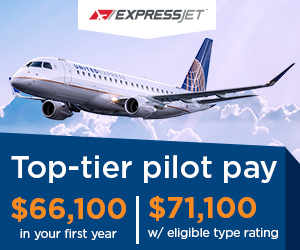 Participates in projects for improving operational efficiency, and ensures supervisors and technicians complete required training for skills enhancement and compliance with Federal Aviation Administration (FAA) and UPS requirements. Do you have any advice to veterans who are either transitioning, or seeking new careers? It can be anything: resume, how to network, how to work a career fair – whatever your experience has been and what you think is helpful. Dan: Applicants are selected randomly and through our referral process after they have completed an online application, met the minimum requirements, in addition to passing the Hogan assessment. C: Can you explain the point system associated with online application process? D: Applicants are given credit for the credentials they enter in the online application. It is important that each applicant accurately completes the application. D: It is certainly not a necessity to attend a job fair, but some applicants find it appealing to have the opportunity to have a personal face-to-face encounter with a UPS Representative and to ask questions. D: Learn as much about the organization as possible and be prepared, be yourself and be honest. We want to make sure UPS is the right place for you and you are the right person for UPS. D: It is recommended, but it is entirely up to the applicant depending on their interview time. It allows for the applicant to relax, rest and to be prepared for the interview. D: The applicant will check in at the front desk in the UPS Flight Training Center. They will meet with the HR Administrative Staff who will provide an overview of their interview day and complete all necessary documents for the interview process. There may be several impromptu meet and greet opportunities with other UPSers and the Interview Team during a candidate’s visit. The rest of the day consists of the actual interview, simulator study time and the actual simulator evaluation. D: Questions related to their aviation history and education. Some questions are behavioral style while others are situational in nature. D: Not being prepared and/or not completely answering the questions they are asked which can be misleading to the interviewer. C: Is there a written test? C: Do you have a simulator ride? C: What type of aircraft? C: What are you looking for in the simulator ride? C: What are the biggest mistakes applicants make? D: Typically we do not, however, depending on the actual class schedule, we may make contingent offers on the same day as the interview. D: Varies depending on the class schedule. D: Usually an applicant will receive a potential class date with their contingent offer. Typically, the class date is within 2-6 weeks. D: We have hired 92 pilots in the past 12 months. We are actively interviewing, but the number of new hires projected for the next 12 months is under review.